As per the guidelines laid down by The Ministry of Human Resource Development, Govt. of India, the CBSE, Delhi conducts Central Teacher Eligibility Test (CTET 2019). There are two CTET test papers in the exam, that is, Paper-I and Paper-II. Candidates who want to teach Classes I-V need to give Paper-I whereas aspirants who want to be eligible to teach Classes VI to VIII need to give Paper-II. The exam pattern is such that aspirants need to attempt multiple choice questions. All the important information about CTET 2019 such as Important Dates, Eligibility Criteria, Exam Pattern, Syllabus, Admit Card and Result etc are given in the article below. The application form of CTET has been started on 05th February 2019. Candidates can fill the application form till 05th March 2019 up to 17:00 Hrs. The application form of CTET 2019 will be released online by CBSE. On the official website of the teacher eligibility test, candidates can fill the application form. Candidates ensure that they meet the eligibility criteria and should fill the application form as per the schedule released by CBSE. If candidates have earlier appeared for the exam then they need to provide their CTET roll numbers for the past three tests. Senior Secondary (or its equivalent) and passed/appearing in final year of 2- year Diploma in Elementary Education is required to apply. 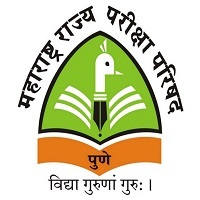 Senior Secondary (or its equivalent) and passed/appearing in final year of 2- year Diploma in Elementary Education, in accordance with the NCTE (Recognition Norms and Procedure), Regulations, 2002. Senior Secondary (or its equivalent) and passed/appearing in final year of 4- year Bachelor of Elementary Education (BElEd). Completed Senior Secondary (or its equivalent) and passed or appearing in final year of 2- year Diploma in Education (Special Education). Graduated and passed/appearing in final year of two-year Diploma in Elementary Education (by whatever name known). Completed Graduation and passed/appearing in 1-year Bachelor in Education (B.Ed) programme. Completed Graduation and passed/appearing in 1-year Bachelor in Education (B.Ed), in accordance with the NCTE (Recognition Norms and Procedure) Regulations issued from time to time in this regard. Completed Senior Secondary (or its equivalent) and passed/appearing in final year of 4- year Bachelor in Elementary Education (B.El.Ed). Completed Senior Secondary (or its equivalent) and passed/appearing in final year of 4- year BA/ B.Sc.Ed or B.A.Ed/ B.Sc.Ed. Completed Graduation and passed/appearing in 1-year B.Ed. (Special Education). The above qualification should be passed with minimum 50% marks. The admit card will be issued by the Central Board of Secondary Education (CBSE). The admit card will be available for download on the official website. The admit card will be issued for only those candidates who have duly filled and submitted their application form for CTET exam. Candidates will be required their registration number and date of birth in the space provided. The answer key will be released on the official website by CBSE. Candidates can determine the number of questions they have attempted correctly in the exam with the help of the answer key. CBSE uploads the answer key for both CTET Paper I and CTET Paper II. The marks secured by the candidate in the exam as well as his qualifying status will be listed. The scorecard shows total marks secured by the candidate as well as marks secured by him/her in each subject. Aspirants can check their result by filling details such as their roll number and date of birth on the official website of the entrance test. The Validity Period of the qualifying certificate for appointment will be seven years from the date of declaration of its result for all categories. 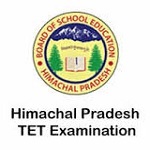 A person who has qualified CTET may also appear again for improving his/her score. Those candidates who dies not qualify in UPTET, and apply for ctet and do can apply teaching post in schools of Uttar Pradesh, can providing the eligibility answer key.